Exactly one month one my birthday, another special event happens. Yes that's in October and it does not even have to do with this new movie entitled Paradise, starring Julianne Hough, Holly Hunter and Nick Offerman. But I am sharing this movie here anyway. May this movie inspire me in these slightly rough times. I need as much laugh as I could get these days. And may these movie would give that to me, along with a few unintended tears. This Diablo Cody-directed movie (the director's debut) is surely going to my "to watch" list. 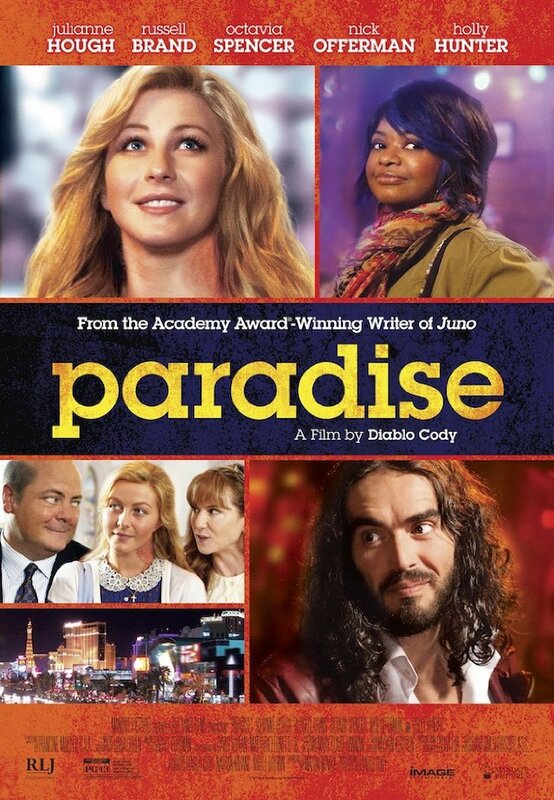 Watch the new trailer of Paradise. "Some folks say this whole world is broken, I say it is paradise." It's such a cheesy quote, but it certainly hit the mark. A young woman named Lamb survives a plane crash and loses her faith and goes to Las Vegas and befriends two bartenders. Find Paradise here on Earth on October 18, 2013.